District Preview Part I – Districts 1-16! Author’s Note: Since I have to rely on MaxPreps for the regular season scores I hope that missing or incorrect info does not make this preview incorrect factually as far as matchups are concerned. I don’t think that the FHSAA web site has the info either. 1 Pensacola Catholic 4/16 @ 6 p.m. 4/18 @ 7 p.m.
2 Maclay 4/17 @ 5 p.m. 4/19 @ 7 p.m.
3 Oak Hall 4/17 @ 5 p.m. 4/19 @ 7 p.m.
4 Bolles 4/16 @ 1 p.m. 4/18 @ 4 p.m.
5 Providence 4/16 @ 5:30 p.m. 4/18 @ 7 p.m.
6 Ponte Vedra 4/16 @ 5 p.m. 4/19 @ 7 p.m.
7 Matanzas 4/15 @ 6 p.m. 4/17 @ 7 p.m.
8 Lake Mary 4/16 @ 7:30 p.m. 4/18 @ 7:30 p.m.
9 Lake Howell 4/16 @ 6 p.m. 4/18 @ 7:30 p.m.
10 Boone 4/16 @ 5:30 p.m. 4/18 @ 7 p.m.
11 Lake Minneola 4/16 @ 5 p.m. 4/18 @ 7 p.m.
12 Bishop Moore 4/16 @ 5:30 p.m. 4/18 @ 7 p.m.
13 All Saints Academy 4/15 @ 7 p.m. 4/17 @ 7 p.m.
14 Newsome 4/16 @ 5 p.m. 4/18 @ 7 p.m.
15 Steinbrenner 4/15 @ 5 p.m. 4/17 @ 7 p.m.
16 Jesuit 4/15 @ 5 p.m. 4/17 @ 7 p.m.
17 St. Stephen’s 4/16 @ 7 p.m. 4/18 @ 7 p.m.
18 Bishop Verot 4/12 @ 5 p.m. 4/16 @ 7 p.m.
19 Golden Gate 4/15 @ 5 p.m. 4/17 @ 7 p.m.
20 Barron Collier 4/16 @ 7 p.m. 4/18 @ 7 p.m.
21 Viera 4/16 @ 5:30 p.m. 4/18 @ 6 p.m.
22 Sebastian River 4/15 @ 5 p.m. 4/17 @ 7 p.m.
23 Vero Beach 4/16 @ 4:30 p.m. 4/18 @ 7 p.m.
24 Benjamin 4/16 @ 5 p.m. 4/18 @ 7 p.m.
25 Oxbridge Academy 4/16 @ 5 p.m. 4/18 @ 6 p.m.
26 St. Andrews 4/16 @ 5 p.m. 4/18 @ 7:30 p.m.
27 Calvary Christian (Fort Lauderdale) 4/16 @ 6 p.m. 4/18 @ 8 p.m.
28 NSU University School 4/16 @ 5 p.m. 4/18 @ 5 p.m.
29 South Plantation 4/16 @ 5 p.m. 4/18 @ 7 p.m.
30 Belen Jesuit 4/16 @ 3 p.m. 4/18 @ 4:30 p.m.
31 Coral Reef 4/16 @ 2 p.m. 4/18 @ 4 p.m.
32 Key West 4/16 @ 5 p.m. 4/18 @ 7 p.m. It looks like the semifinals have #1 Gulf Breeze playing #4 Escambia and #2 West Florida playing host #3 Pensacola Catholic. Gulf Breeze ran the district games undefeated but both the regular season games with West Florida and Pensacola Catholic were two goal games so there’s no reason to think this will be an easy repeat. West Florida won the regular season game against PC by two goals also, so look for a solid semifinal and close final game. The burden will be on WF and Pc to prove they can beat last year’s champs. District 2 is pretty simple to analyze. #1 Maclay hosts winless #4 Leon and #2/3 features Chiles and Lincoln at 3-3 each. Leon and Chiles split their home and home, each holding on to their home field. The semifinal game is neutral turf for each. Both teams finished well, but it likely won’t matter since Maclay seems to have gotten back on track this season. Maclay handled both teams handily at home this season. #1 Oak Hall hosts #4 Santa Fe according to MP and there is no other semifinal scheduled on there. It certainly looks like #2 Buchholz plays #3 Gainesville, since Gainesville holds the win over Forest. Oak Hall only gave up 10 goals in 5 district games this season and that should carry through here. Assuming I have the games right it should be Oak Hall going through. #1 Bolles plays #4 Stanton and #2 Episcopal School plays #3 Paxon School in the semifinals. Bolles holds the easy victories in the regular season and should go through. Not much to see in this one, Bolles played a tough schedule and challenged a number of top 25 teams. #1 Fletcher ran the table in the regular season and takes on either Sandalwood or Atlantic Coast as MP does not list the pairings. Fletcher beat both #2 Providence and #3 Mandarin on the road in close games. Providence handled Mandarin on the road comfortably. Look for #1 vs #2 to meet in a close game to decide the District. #1 Ponte Vedra vs #4 Bartram Trail and #2 Creekside vs #3 Fleming Island. Any other year, and in a new format of non-district winning teams making the brackets and we could talk more but this year Ponte Vedra is too much for the rest and having home field on top? Miracle On Ice betting odds. Missing scores here. #1 St. Augustine is the clear favorite but no MP games are listed for the semifinals as only the losses to St. Augustine are shown on the site. All the other schools show 0-1 records but I’ll guess Matanzas and Menendez meet in the other semifinal with Father Lopez as seed #4. The matchup with #1 Lake Mary is not listed between Winter Springs or Lyman but the #2 Lake Brantley vs #3 Seminole game is. Winter Springs has the victory over Lyman so we expect that they face Lake Mary. Lake Brantley took the regular season game comfortably at Seminole but lost at Lake Mary by 9 in the regular season so they’ll need to step it up to get past the Rams. A really good district this year and #1 Hagerty plays host #4 Lake Howell while #2 Winter Park plays #3 Oviedo. Three teams ranked at some point in my Top 25. The 3 top teams all traded wins and losses this year, with WP nipping Hagerty, Oviedo nipping WP and Hagerty easily beating Oviedo. Look for a great semifinal and an easy Hagerty win, setting up a tantalizing final on a neutral field. Well worth attending in the area! #1 Lake Highland takes on either Timber Creek or Lake Nona and #2 Boone plays the other as MP does not list either matchup. Either way, it will be difficult for Boone to win the District at home, as they need to make up an 8-goal deficit at LHP during the regular season. But the way LHP’s season has fluctuated this season at least it isn’t an impossible task. On MP we have Windermere, West Orange and Montverde Academy listed at 6-1 with host Lake Minneola holding the #4 seed. The 3 teams all went 1-1 against each other and it looks like Windermere might have pulled out the tiebreaker but it’s basically a 3-team race with the #1 seed likely to have some advantage in a less taxing semifinal. Really no way to predict his one with any real confidence. Pretty simple on this one too. #1 Bishop Moore vs #4 Dr. Phillips and #2 The First Academy versus #3 Edgewater. First Academy won a one goal road win over Edgewater and might struggle again in the semifinals but this is just for the right to have to face last year’s FHSAA finalists and that’s where the journey ends. #1 Lakeland plays #4 Lake Wales and #2 Bartow plays #3 All Saints. Congrats to Lake Wales for making noise so early in their history as a varsity program. Lakeland ran the table comfortably against the other 3 and should go through here. Bartow and All Saints played a one-goal game so that semifinal should be fun. #1 Newsome vs Freedom and #2 Bloomingdale vs #3 Wharton. Not much to see here. Bloomingdale made nice strides this season but was not a match for Newsome in either game. Both Bloomingdale-Wharton games were close so look for that semifinal game but the reality is Newsome is going on and continuing their streak of district titles. An excellent year for #1 Steinbrenner and they play #4 Sunlake while #2 Wiregrass Ranch and #3 Mitchell face off as Sickles failed to make it in. But don’t be too fooled by the records as Wiregrass gave Steinbrenner a scare in a one goal loss. Wiregrass and Mitchell also played a high scoring close game so the semifinal will be fun and the final is not a given by any means. Home field might make the difference. This will be interesting. Another district where three teams spent time in my Top 25. And #4 Alonso came a long way this season too. The MP standings are not complete but TLR shows Berkeley Prep as top seed vs Alonso and Jesuit meeting Plant in the semifinals. The games played between these teams were close all season with the exception of Jesuit comfortably winning the Plant game, but I suspect we’ll get down to the wire games in the semifinals and finals and this will be a great district tourney to attend! Stay tuned for District 17-32 tomorrow! 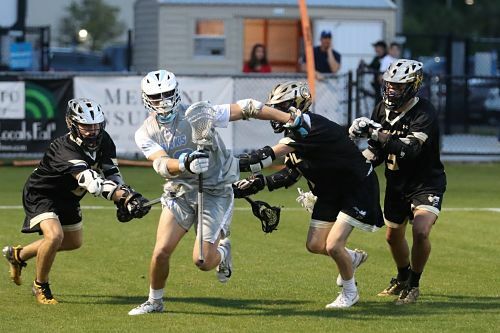 PrevIntense Fourth Quarter Rally Lifts Ponte Vedra to the Top Spot!